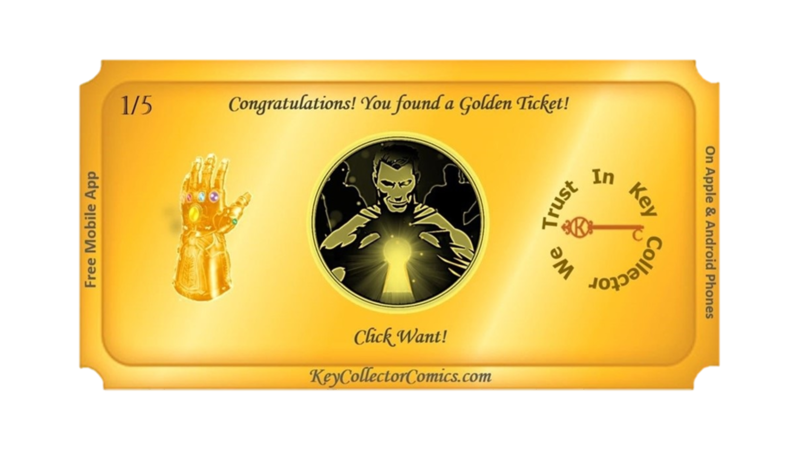 Key Collector Comics, a free app for Apple and Android phones, invites comic book fans to take part in a digital scavenger hunt through the world’s most comprehensive mobile database of valuable comics in search of five, hidden Golden Tickets, happening now. Those who are the first to find a Golden Ticket and click ‘want’ to claim it, will be awarded two passes to see Avengers: Infinity War, in theaters April 27. For participants who discover a ticket that has already been claimed, they may enter for a chance to win The Infinity Gauntlet, the classic six-issue Marvel mini-series that tells the story of the Mad Titan, Thanos using the Infinity Gauntlet to take on Earth’s mightiest heroes. Winners who find a Golden Ticket will be sent two movie passes via email. The winner of The Infinity Gauntlet six-issue series will be selected April 27 and notified by email. 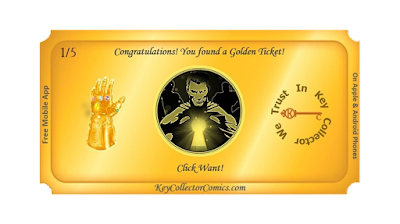 To find a Golden Ticket, users will have to download the free app from Google Play or the Apple App Store and navigate through character 1st appearances, origins, classic story arcs and iconic covers that comprise the database of over 8,000 highly collectible key issues. While hunting for a ticket, fans will uncover the history of comic books told through the milestone issues that shaped the genre. Key Collector Comics also features direct access to which comic books inspired upcoming films and movies currently in theaters. Fans can learn who is cast in what roles, the comics in which the characters made their first appearance and links to movie trailers including "Deadpool 2" and "Avengers: Infinity War."